Suppressors are not a new technology. 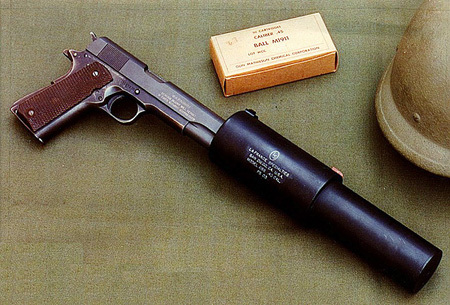 Here is a photo of the Colt M1911A1 with an attached suppressor from World War II. Suppressors in the 1940’s were not as effective as modern silencers, but with the subsonic .45 ACP cartridge, they were effective.